“For 24 hours, attorney Ofelia Calderon couldn’t find her client, Bety Mena Torres, a migrant who had been depressed since she was separated from her daughter at the border. Mena had been held in Port Isabel Detention Center since June, but last week Calderon received a call from another detainee saying that Mena had disappeared. After a frantic search, including checking the government’s locator service, she found that Mena had been moved to a detention center in Pearsall, Texas. But Calderon soon lost her again and had to track her down at another detention center, in Dilley, Texas, where Mena was reunited with her daughter. “Other detainees were calling me [from Port Isabel] and saying Bety is not here,” said Calderon, who serves on the board of the Dulles Justice Coalition, an advocacy group formed to oppose President Donald Trump’s first travel ban for people from seven Muslim countries. Behind the emotional reunions of children and parents separated at the border is a whirlwind of confusion. Lawyers and advocates are scurrying to track down families who have been shuffled among detention centers and in some cases deported, in the hopes of advising them on how best to fight to stay in the country. The movement of migrant parents and children has ramped up in the last couple of weeks as the Trump administration faces a Thursday deadline to reunify the separated families. The separations occurred when the administration began enforcing “zero tolerance” prosecutions of people charged with crossing the border illegally. The Trump administration said Tuesday that it would meet the deadline and reunite roughly 1,600 parents deemed “eligible” to be reconnected with their children. Hundreds of other families will not be reunited; in those cases, the parents either haven’t been located or are ineligible because of their criminal history, medical issues or a potential threat to the child. To meet the deadline, attorneys say the administration is carrying out parent-child reunifications in parking lots of detention centers, and immigrants are being moved late at night to other detention centers or dropped at shelters or centers run by nonprofits, often without lawyers being notified. Attorneys say that amid this chaos, some parents are not being fully informed of their rights or are choosing the shortest path toward being reunited with their children, even if that means giving up on a chance to stay in the U.S. Attorneys say they’ve spoken to some mothers who stopped pursuing their asylum cases after being told that continuing to fight would keep them in detention and separated from their children — potentially for months. Others have unknowingly signed forms saying they agreed to be deported rather than staying and pursuing an asylum claim because the forms were not in their language or they were not literate in English or Spanish, attorneys who are working with detained migrants said in a conference call with reporters Tuesday. And migrant families who are released are not always clearly told the next steps in their immigration case, lawyers said. The Department of Homeland Security, which oversees Immigration and Customs Enforcement, did not immediately respond to a request for comment about the reunification process and what migrant families are being told. Calderon was nervous when she couldn’t find Mena. Beyond being worried about Mena’s mental state, she feared that Mena might agree to be deported if she thought that would help to reunite her with her 5-year-old daughter, who was in a foster home. “On more than two occasions an ICE officer has pressured her and said, ‘Don’t you want to see your daughter?’” Calderon said. Mena, originally from Honduras, left home to escape violence, Calderon said. She is still detained and is fighting to stay in the U.S. now that she’s been reunited with her daughter. Other parents are also feeling pressure to agree to deportation — while some may not be aware of their options if they want to stay, said Shalyn Fluharty, managing attorney for the Dilley Pro Bono Project, which represents mothers and children detained at the South Texas Residential Family Center, an immigration detention facility in Dilley, Texas. Some of the mothers have gone through the first phase of the asylum process while in detention and separated from their children and were given a “negative” finding, meaning the asylum officer did not think the migrant had a credible fear of persecution or death if returned to her country. At that point, a migrant can ask an immigration judge to review the finding and potentially reject it, but few migrants are making that request, Fluharty said. “Many of them decided to not see an immigration judge because they misunderstood that if they continued to proceed in fighting their case, they might not have the ability to see their child ever again,” she said. Ruby Powers, a Houston immigration attorney with Powers Law Group providing pro bono legal help to separated migrant parents, said the chaos has her in constant triage mode. She and other attorneys said they’ve been unable to discern the government’s rationale in deciding which families are released and which are sent to detention centers after the parents and children are reunited. She has seen some migrants detained despite passing their “credible fear” interviews, the initial step in the asylum process, while some who don’t pass have been released if they can afford their bond. 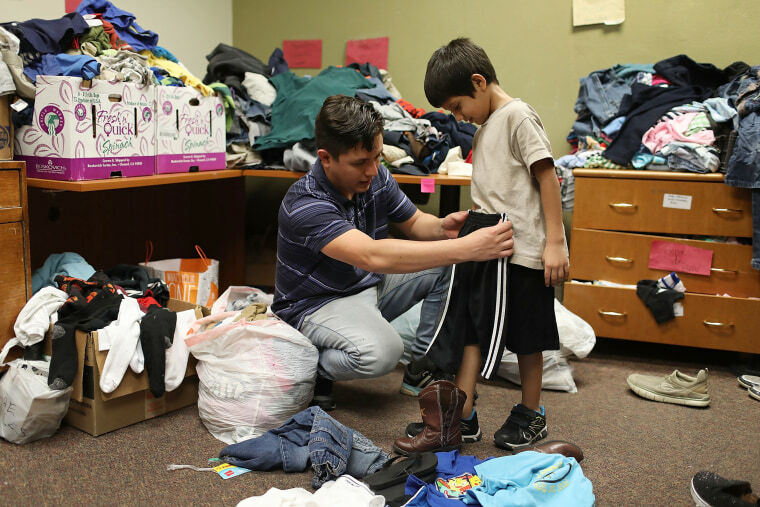 Fluharty’s group is working with 31 families detained at the South Texas Residential Family Center. She said some of them are being detained even though they have government paperwork that says they have been released. “We find that very confusing because they have been reunited in the last couple of days and yet are detained here,” Fluharty said. 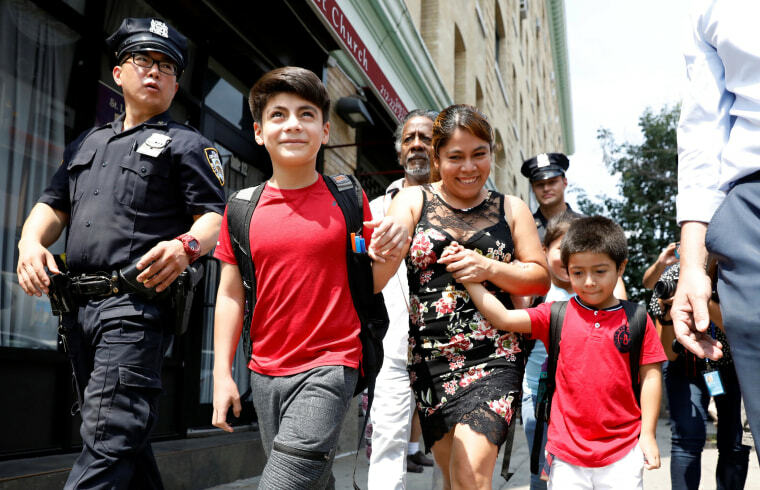 Some parents are given little notification of when they will be moved to a different detention center and have scrambled to get their clothes on and collect their belongings, lawyers said. The shelters that are accepting parents newly reunited with their children are rushing to get ready, without knowing who is coming or when. At Port Isabel, when parents are to be reunited with their children, the parents are taken to a separate holding area in the facility. Parents have told attorneys that it’s very cold there and they are given little food. Some wait there for hours without access to their phone accounts, so they can’t call attorneys or family to tell them they are being moved, lawyers said. “It makes the rest of their family and attorneys panic, because where are they?” Powers said. When families are reunited and released, they are often taken to church or nonprofit groups that provide showers, clothes, a meal and help with getting the migrants to their next destination. But some of these facilities — including one run by Catholic Charities at San Juan Basilica in San Juan, Texas — have restricted access. Lawyers with the Texas Civil Rights Project say it’s been hard to get in contact with the families they had been working with. “It is very much a scrambling mode to find our specific parents,” said Zenén Jaimes Perez, a spokesman for the group. Perez acknowledged the difficult balance between protecting families’ privacy and allowing in lawyers who can help them but said it’s essential for migrants to receive legal advice. There is a lot at stake for migrants who are separated from their lawyers. 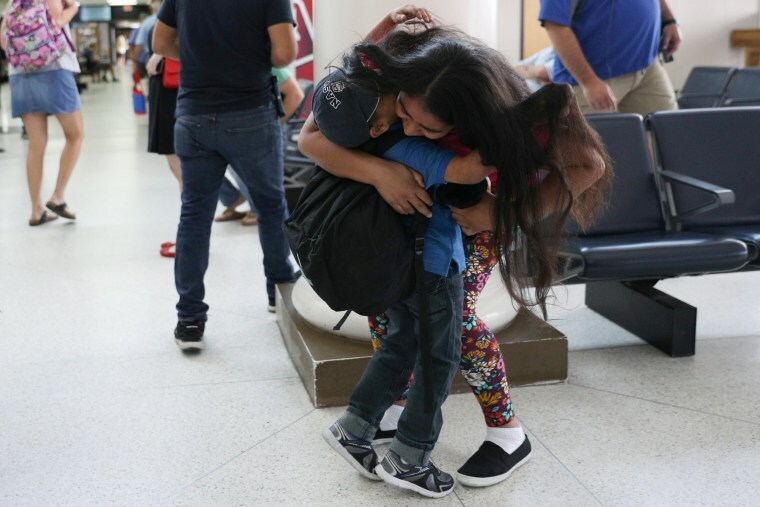 After families in Texas are reunited and released, many are told to return in about a month for hearings on their cases, even if they plan to leave the area to stay with family members elsewhere in the U.S. Migrants who move away must submit a change of address form and request a change of venue, and they face tight deadlines to do so. If they don’t show up for their hearings, migrants could be ordered removed from the country “in absentia,” which means they could face deportation. Most immigrants who are detained and fighting deportation do not have a lawyer — and that shortage is even more problematic now, said Ben Johnson, executive director of the American Immigration Lawyers Association.